Desjardins Sécurité du Bâtiment brings you a wide array of fire alarm systems, including NOTIFIER by Honeywell, as well as the installation and inspection of Mircom products and parts to ensure the best possible protection of your building and its occupants at all times. Trust our team of professional technicians to install a high-quality fire and smoke alarm that complies with standards in effect. 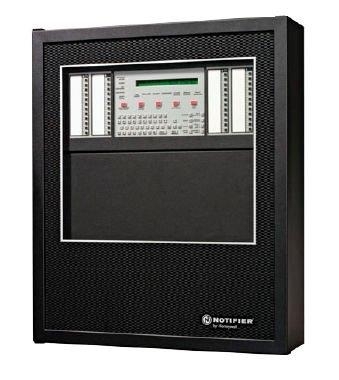 We carry a broad selection of fire alarm detectors to ensure the safety of all types of buildings and businesses. Whether you need Siamese connection signs, fire alarm detectors, smoke detector devices or if you have questions about current regulations, we will gladly take the time to answer you. 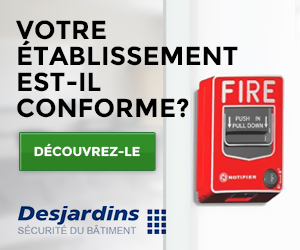 In operation since 1957, Desjardins Sécurité du Bâtiment stands out by its sound experience and extensive know-how with NOTIFIER fire alarm systems, among others. We owe our reputation with both SMEs and large businesses to the relationship of trust we built with our customers thanks to our state-of-the-art fire alarms as well as our outstanding and customized customer service. Desjardins Sécurité du Bâtiment is all about bringing you peace of mind. We do so by offering the best products from trusted manufacturers of fire alarm systems such as NOTIFIER by Honeywell and by performing the installation and inspection of Mircom products and parts. Also, as a testament to our determination to safety, we are part of the Canadian Fire Alarm Association (CFAA), making us a legitimate and trustworthy go-to source for your fire alarm system needs. Our technicians are available 24 hours a day, 7 days a week to install, change or maintain your fire and smoke alarms. Contact us today!